Date : Now till while stock last! 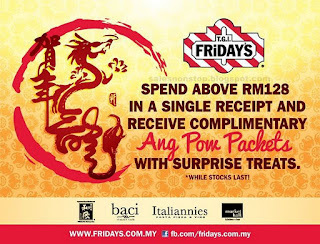 Spend above RM128 in a single receipt and receive complimentary Ang Pow Packets with surprise treats! 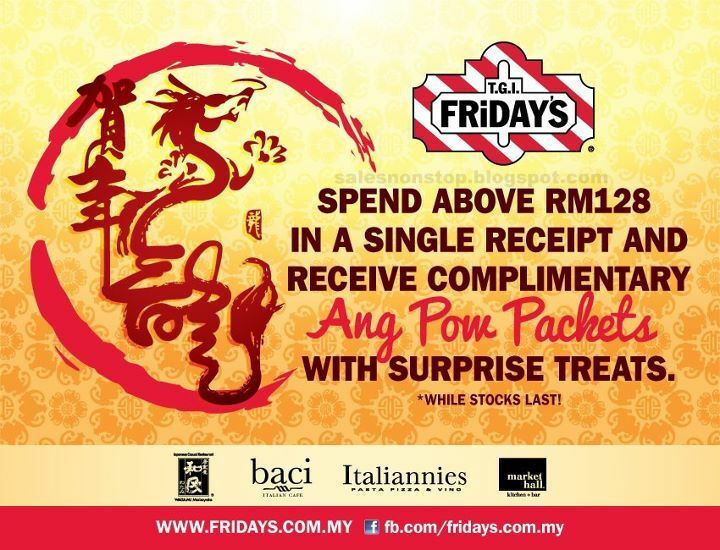 Location: Only available at Klang Valley outlets. Check out T.G.I. 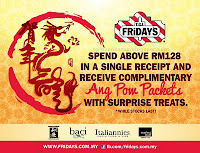 Friday's Klang Valley outlets location here.